You are readingWhat Titles Will Launch With the Nintendo 3DS? What Titles Will Launch With the Nintendo 3DS? 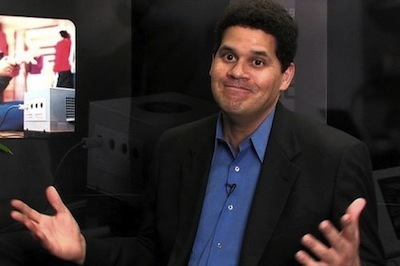 Nintendo of America bossman Reggie Fils-Aime has a elaborated a bit on what the Nintendo 3DS launch lineup will be. Unfortunately, it may not suit everybody’s wants. Speaking with MTV news, Fils-Aime hinted as what Nintendo’s upcoming handheld gaming system, the 3DS, may be launching with in North America. However, when speaking, he didn’t specify whether or not the word “launch” meant day one, or within Nintendo’s initial launch window (March 27th through E3). We may as well figure that it will happen closer to June, otherwise our guess is that Nintendo would be trying to tell us about how strong their launch lineup is. It definitely doesn’t seem like that’s what they are doing right now. Heck, we don’t even have a definite price range for games aside from some retail listings that are really just placeholders. Pilotwings: It’s been quite a while since we’ve seen a game in this series. It was during the Nintendo 64 days. Pilotwings 64, to be exact. The game was a sequel to the SNES classic Pilotwings, which was actually a very fun game. It’s fun to see this series make a return. While not graphically up to par with games like Street Fighter and Resident Evil, it has a visual style of its own, and is a very beautiful game. Steel Diver: Steel Diver is a totally new intellectual property from Nintendo. It was originally introduced as a tech demo for the 3DS, and it seems that Nintendo had enough confidence in it to turn it into a full retail title. Other games set for the launch window are Super Street Fighter IV, Dead or Alive and Madden. Those expecting Ocarina will be waiting until sometime after E3. Perhaps the holiday season? Ocarina 3DS bundle for a boatload of money, anybody? 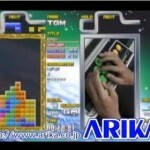 Behold The Mighty ‘Tetris Master’ In This YouTube Video!